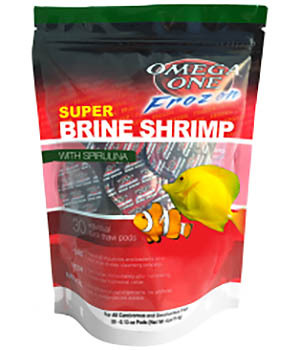 Omega One “Super Brine Shrimp” in new frozen, no-rinse-needed pods. This formula includes Spirulina for both marine and freshwater species. OmegaSea is introducing brand-new, ultra-convenient packaging for your favorite frozen aquarium foods! Convenient stand-up pouch contains 30 individual quick-thaw pods. Easy to use design allows each serving to be thawed separately, without compromising the entire package. Plus, no messing around with additional cups or bowls. Just perfect portion control that’s fast and clean.